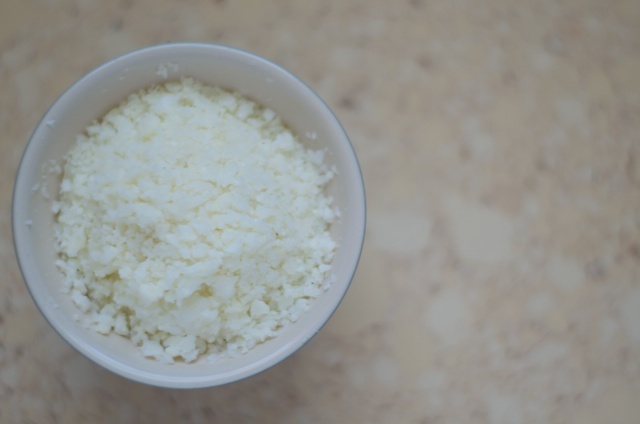 That being said, here’s how we regularly throw together cauliflower rice, either to go with a recipe as a base instead of traditional rice (here are some examples) or just as a great side to get in more cruciferous vegetables. Mark Sisson weighs in on this vegetable group here. Cut florets out of your head of cauliflower and add into your ninja. This took two rounds with the medium-sized container. 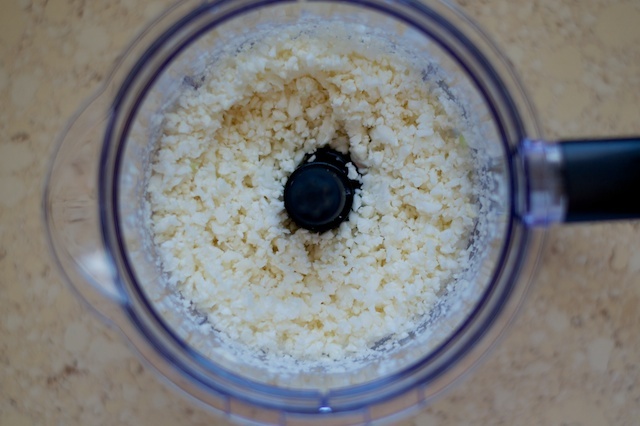 Pulse in short bursts and check every 3-5 bursts to get the size of rice or couscous. Also be sure not to overpack the ninja or it won’t break down everything and you’ll have a surprise floret in the mix. Melt your cooking oil (we used coconut oil) over medium-high heat in a high walled skillet. We have a great enamel coated cast iron skillet we use for this sort of thing constantly. Once melted add in your cauliflower. Add garlic powder, salt, and pepper to taste and cook for 3-5 minutes. Remove from skillet and plate with an entree or store for later meals. A great way to customize this rice is to add fresh or dried herbs for the occasion; some quick suggestions are dill, oregano, and parsley. What sort of herbs do you regularly add to your meals? Let us know in the comments, or tweet us, or write on our Facebook wall.